I’m always on the lookout, brainstorming, researching different ideas and products, not only for myself but for my sweet couples. 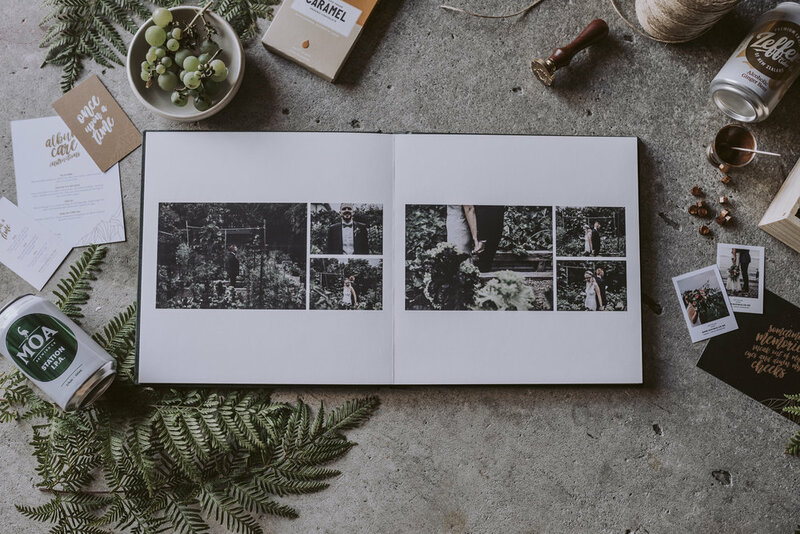 And after shooting a tonne of weddings over the years the one thing I have found is that people always fall into the trap of never getting around to printing their images or making a wedding album - be it just time, cost or you never quite got around to it. With my past background being design and printing, I’ve been searching for the last few years, trying out different companies, paper and printing techniques and now I’ve finally found the sweet spot of quality and affordability. 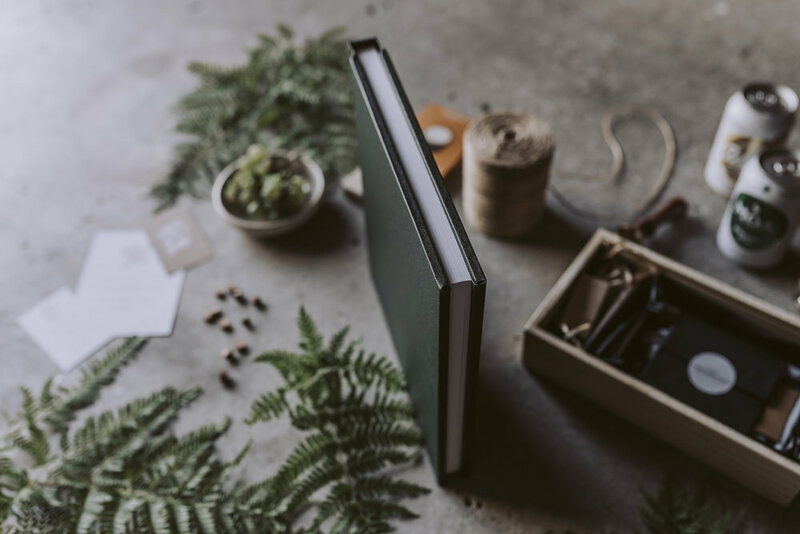 We all love the quality and feel of high-end wedding albums but sometimes they just don’t fit the budget, we also love flipping through wedding magazines for style and inspiration and some people’s goal is to get their very own wedding featured in them. Stone the flamin’ crows! I’ve put all that awesome sauce together and now I’m happy to say you can be in your very own wedding magazine, 48 pages of wedding goodness, your vows, special quotes and every single picture is of you guys minus all the faaaarking adverts. The more copies you get per order, the cheaper per magazine. So it’s a great opportunity to grab a copy for yourself, your mum, your dad and even Uncle Tom. Give me a buzz if you’re interested, and we’ll make awesome happen! Yeeeow! Template includes 4-5 text pages, we recommend you add in your love story, both your vows and a couple of quotes or memories of the day. Shipping included when added to your wedding booking. Get one magazine to look back at your awesome wedding day. The perfect little combo, one for yourselves and one each for the inlaws! The grand package, 5 albums, one for yourselves, one each for both sets of parents, and then the last two for either the grandparents or if you’re a big mixed family, to whoever wants one the most! Didn’t have your wedding shot by me or you are a Photographer? Currently this is only available to couples who have had or are going to have their wedding shot by me. As I’m a one man band, I currently don’t have the capacity to take on too much, so if you want one of these bad boys, choose me as your photographer, yeeeow! All pricing in $NZD including GST. 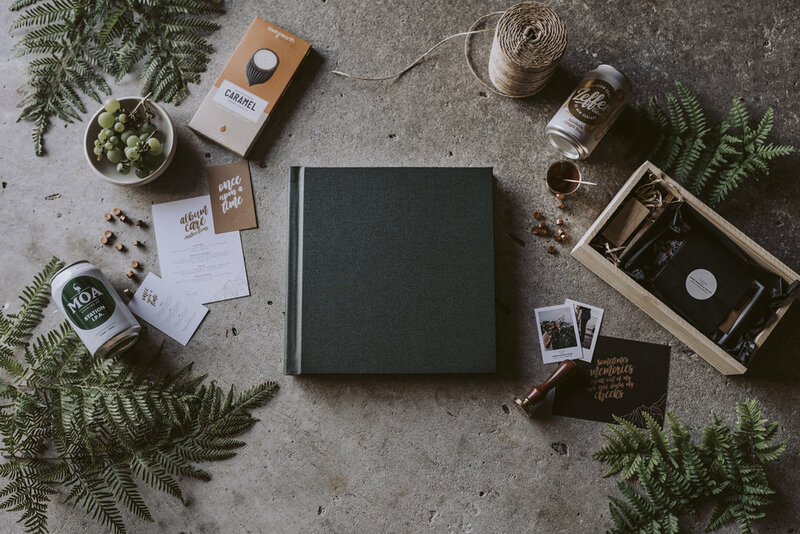 If you’re after the best quality keepsake that will stand the test of time, is beautiful crafted and displays your images in the best possible way. The flush mount wedding albums is the way to go. Created in either 10x10 inch or 12x12inch, wrapped in either premium leather or more animal friendly linen. 34 pages of high quality images printed onto thick art board paper. Providing the the ultimate, archival presentation for your photos. 10x10 Flush Mount Lay Flat album wrapped in either Leather or Linen. 12x12 Flush Mount Lay Flat album wrapped in either Leather or Linen.